Here are the top deals for the Food City Ad starting 10/20. Don’t miss the Midnight Madness deals available 10/25 4pm-Midnight only, or the Mega Fuel Bucks deal where you can mix and match any (5) participating items to earn 150 Mega Points. 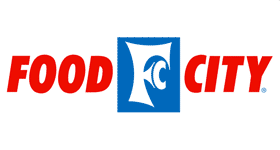 If you know of any other deals or coupons for Food City, leave a comment below to share with everyone. Whole or Cored Sweet Pineapple, $1.98 ea.